More than just photographers, the Bechers are considered conceptual artists that have had a great influence on future generations because of their precise presentation, in the form of photography and catalogues of typologies, of images of buildings and industrial structures. Starting as far back as the end of the 1950s in the Ruhr valley where the Becher family lived, through a series of images they documented the disappearing German industrial architecture – gas tanks, coalbunkers, furnaces, silos - underlining not only the similarities between structures but also the common formal qualities that became evident in the comparison. The photographic technique they adopted was based on ‘objectivity’: shooting the same type of buildings, only on overcast days to avoid shadows, setting the images in a context that would focus on the buildings themselves, underscoring the similarities and eliminating detail. 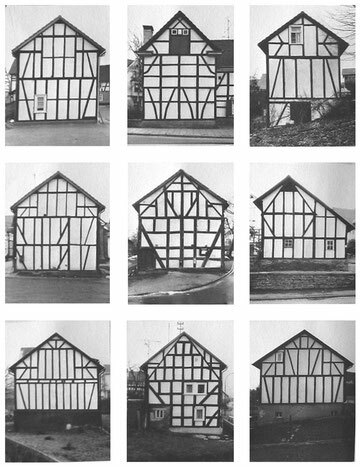 They exhibited and published the photographs, shot over a number of years also in the mining districts of other countries such as the United Kingdom, Belgium and the United States, based on a ‘typological’ criterion (Typologien, Industrieller Bau, 1963-75 / Typologies, 2004), in groups of six, nine or fifteen photographs of the same subject type, creating a comparative vision, the inevitable efficacy of which is based on a minimalist form of research. 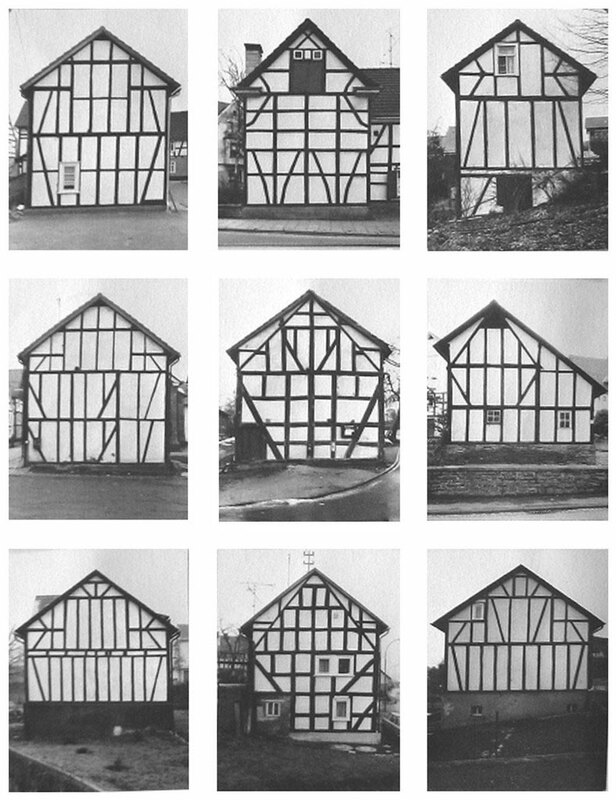 In addition to its technical and analytical qualities, the couple’s work also has an intrinsic environmental facet deriving from its documentary value, often useful in the recovery and reuse of industrial archaeology buildings.